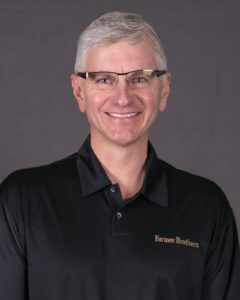 Mike Keown is the President, Chief Executive Officer, and Board Director of Farmer Brothers Co. (NASDAQ: FARM). After joining Farmer Brothers in early 2012, Mike began implementing a strategic vision for Farmer Brothers including investing in strategic acquisitions and driving sustainability in areas such as coffee sourcing, greenhouse gas reduction, waste reduction, supply chain excellence and helping coffee farmers. Farmer Brothers is a leading manufacturer and distributor of high-quality coffees, teas, spices, and culinary products to foodservice establishments and retailers, with annual sales of $550M. Products are distributed primarily through 500 routes and is the country’s largest direct-store-delivery (DSD) coffee company. Key national customers include McDonald’s, Target and Walgreens. Farmer Brothers has 1,800 employees, three manufacturing plants and coffee sourced from 28 countries. The Company’s recent move to its new state-of-the-art facility just north of Fort Worth, Texas underscores Mike’s commitment to sustainability and strategic growth. Mike has garnered extensive strategic marketing, branding and sales experience over the years holding key leadership positions at major consumer products players such as Procter & Gamble, E&J Gallo Winery, the Minute Maid Company and White Wave Foods.